The Standards for Mathematical Practice are written in clear, concise language. Even so, to interpret them and visualize what they mean for your teaching practice isn’t always easy. 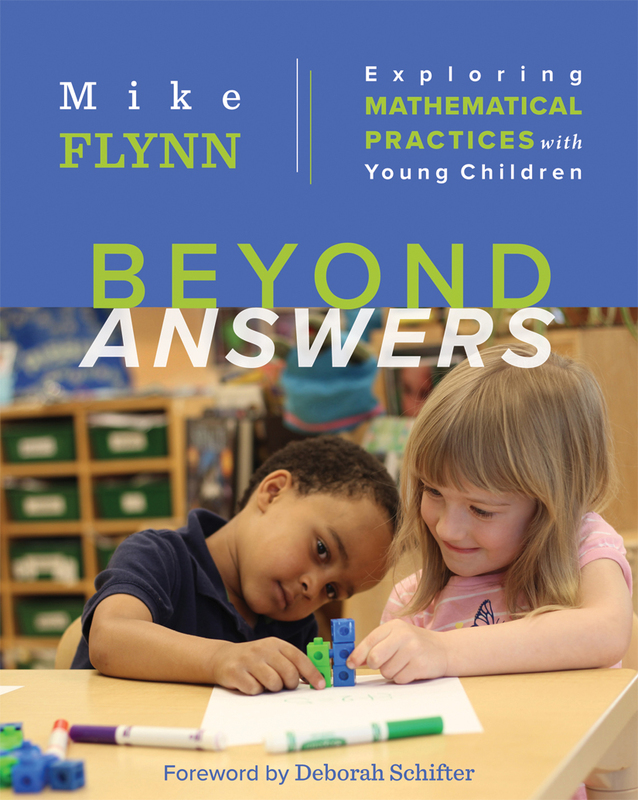 In this practical, easy-to-read book, Mike Flynn provides teachers with a clear and deep sense of these standards and shares ideas on how best to implement them in K–2 classrooms. The book’s extensive collection of stories from K–2 classrooms provides readers with glimpses of classroom dialogue, teacher reflections, and examples of student work. Focus questions at the beginning of each vignette help you analyze the examples and encourage further reflection. Beyond Answers is a wonderful resource that can be used by individual teachers, study groups, professional development staff, and in math methods courses. 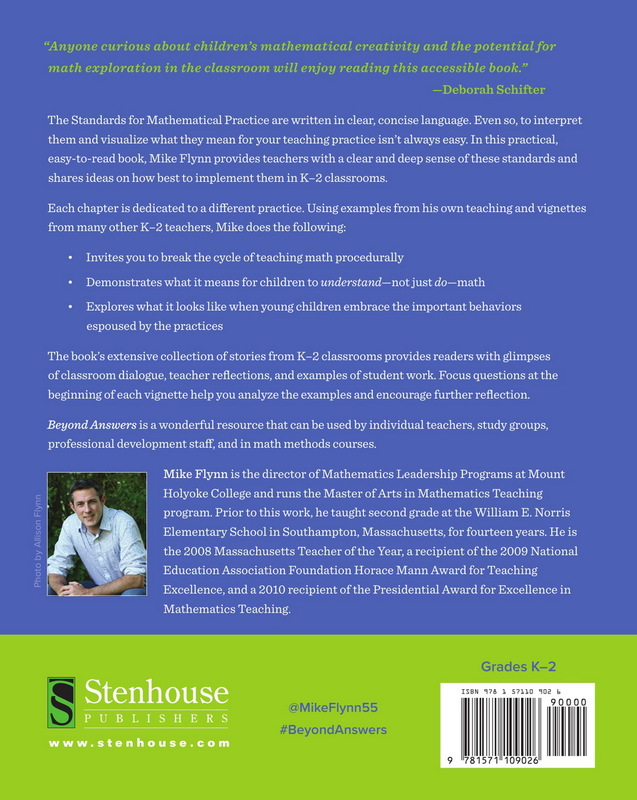 Mike Flynn is the director of Mathematics Leadership programs at Mount Holyoke College and runs the Master of Arts in Mathematics Teaching program. Prior to this work he taught second grade at the William E. Norris Elementary School in Southampton, Massachusetts, for fourteen years. He is the 2008 Massachusetts Teacher of the Year, a recipient of a 2009 National Education Association Award for Teaching Excellence, and a 2010 recipient of the Presidential Award for Excellence in Mathematics Teaching. Author of Which One Doesn't Belong?